Iranian President Hassan Rouhani has warned the West will come to “regret” the day the nuclear agreement collapses, laying blame on the United States for trying to sabotage the historic deal. Rouhani’s comment came as a senior Revolutionary Guard official vowed on Tuesday that Iran will defy pressure to scale back the country’s ballistic missile programme – part of a new push by US President Donald Trump to renegotiate the original pact signed in 2015. Following a meeting with France’s Foreign Minister Jean-Yves Le Drian in Tehran on Monday, Rouhani said while Iran is ready for any “unfavourable” consequences, negotiations and diplomacy remain the best options to save the agreement. “Remaining committed to the accord would prove to the world that the negotiation and diplomacy is the best way to solve problems, but the collapse of the deal means that political talks are a waste of time,” he said. Rouhani stressed it is necessary for all signatories of the deal to adhere to their commitments, adding Tehran will never be the first party to violate the agreement, Tasnim News agency quoted him as saying. Javad Zarif, Iran’s foreign minister, also said Europe should compel the US to abide by the deal, “rather than trying to appease” Washington. Le Drian earlier said Iran “risks new sanctions” if it does not address concerns on its ballistic missile programme. Under the deal signed in Vienna between Iran and six world powers – the US, Russia, Germany, France, Britain and China, as well as the European Union – Tehran scaled back the country’s uranium enrichment programme. In exchange, UN sanctions were lifted, allowing Iran to resume trading oil and gas on the international market. But American sanctions against Iran remain, hindering foreign companies outside of the US from doing business with Tehran. Trump had also vowed to stop issuing waivers on US sanctions, while threatening to end the deal if changes are not made. 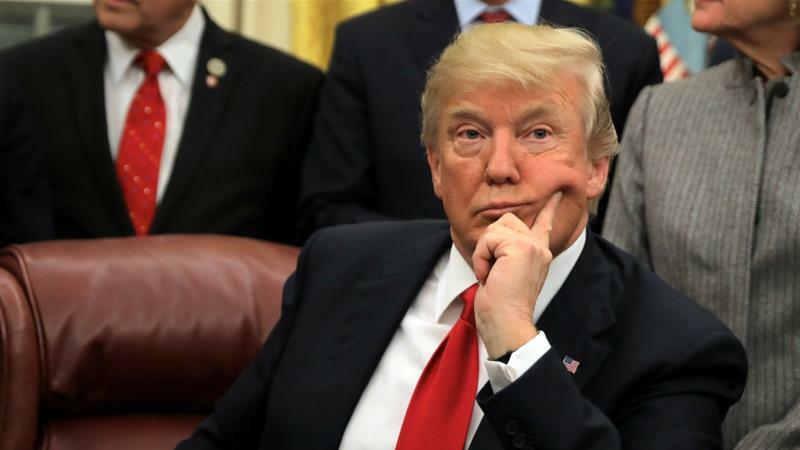 According to reports, some of the changes to the deal that Trump has demanded include the opening of Iranian military bases to international inspectors, and the curbing of Iran’s missile programme – both of which are not covered by the current agreement, and are vigorously opposed by Iran. Iran has insisted all parties must first adhere to the current agreement before it would consider talking about other issues outside of the nuclear pact. On Tuesday, Ali Akbar Velayati, top adviser of the Supreme Leader Ayatollah Khamenei,said Iran will “never give in” to America’s “bullying tactics” by trying to change the nuclear deal. Yadollah Javani, the Supreme Leader’s adviser at the Islamic Revolutionary Guard Corps (IRGC), also said it would be a “miscalculation” for the West to think Iran is willing to negotiate on its missile programme. “They want to take the power of defence from the Iranian nation. The Iranian nation should be able to defend itself and today, one of the important tools for this defence is missile and missile power,” he was quoted by the Iranian Fars news agency as saying. 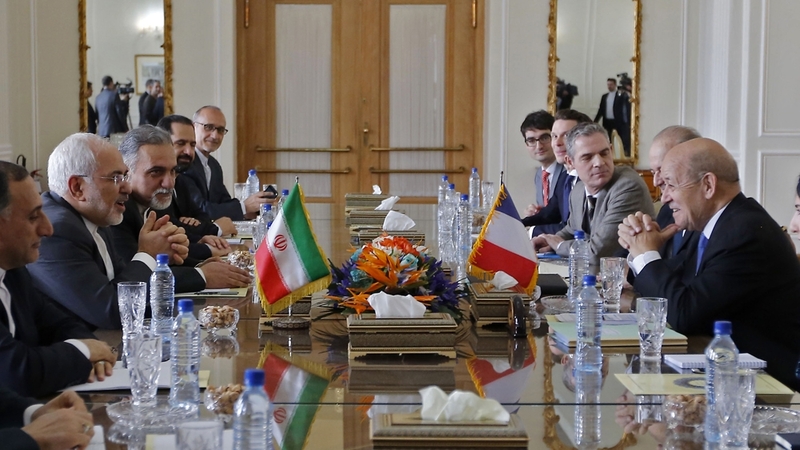 Ali Shamkani, a senior official of Iran’s Supreme National Security Council, told France’s Le Drian during their meeting in Tehran on Monday the country’s missile programme is an “inevitable necessity” and part of its deterrence policy. “Iran’s defence power is not a threat to any country, and its enhancement is a function of the security needs,” Shamkani was quoted by Tasnim as saying.